At Safeguard Safes, we have been supplying industrial strength, state-of-the-art modular vaults across Australia for decades. We can also custom build a modular vault to meet your specific needs. Our vaults meet state and federal regulations ensuring that we take care of your compliance needs. We stay up to date with the latest technology and best practices in this field. We have a huge range of vaults, vault doors and day gates for sale. If your needs change over time, we can increase and decrease the size of your vault accordingly. We can also relocate it where needed. We conduct thorough tests on our products ensuring they are durable, impenetrable and delivering unparallelled security. Our vaults are suitable for securing many different sites and products including cash, bullion, artworks, jewelry/watch collections and controlled drugs. They are also suitable for government archives, safe deposit facilities, critical national infrastructure and other sensitive sites. Our vaults are available in a range of security grades. Certified explosive protection is available on request for grades V – VIII. Certified explosive and core drill protection is available on request for grades IX – XII. Our vaults meet the AS/NZS3809 Standard. This is the Standard for the classification and performance testing of safes to intrusion resistance and removal. We recommend you consult Safeguard Safes experts prior to ordering. We will help you make the best decision to suit your particular needs. Make sure you have your technical specifications ready for the consultation. They are made from patent ultra-high density concrete that is reinforced with various special steel armoring. The modular panels are assembled together using a welded or bolted method of construction. Your vault can be installed in a new building, existing building or to strengthen a strong room. They are fitted with an emergency breather tube and emergency powered ventilators can also be included. Custom vaults include a full and comprehensive site survey. Customised internal and external fit-outs are also available and we offer full engineering and support services. We have over 55 years experience. We are the preferred supplier and distributing agent for all major safe manufacturers in Australia including Guardall, Lord, Gunnebo, Chubb, Falcon, Burg Watcher, Diplomat and CMI. 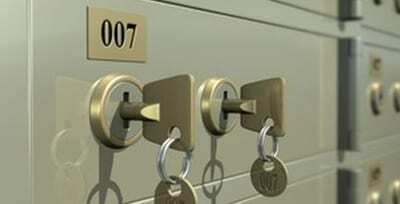 Perhaps you are unsure if your institution would be better served by a bank vault or a bank safe? We will be happy to review your specific requirements and advise accordingly. We supply across Australia and are proud to offer the best products for the best price. We offer a price beat guarantee so if you do find a cheaper price, we will beat it. You can be assured of Confidentiality & Security. We hold both NSW & Victorian Police Security Licenses.